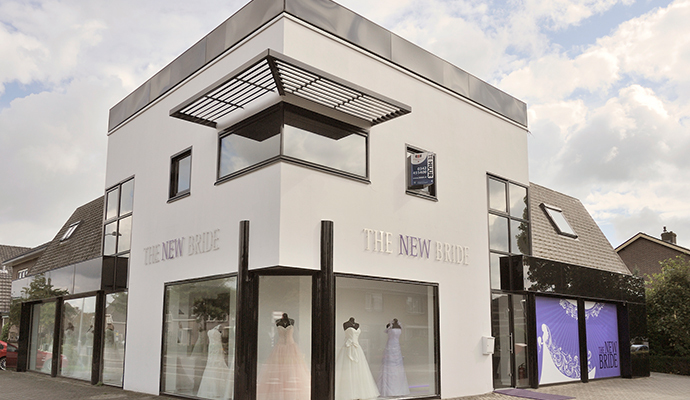 Marlies of New Bride is very pleased with the significant changes she made in successful Retail design: How to create brand experience in my bridal fashion shop? How to discern my shop from others, and how to position myself as an entrepreneur? How to create added value? How to extend the visit length? How to create an experience for my customers? What is a good balance between openness and privacy? 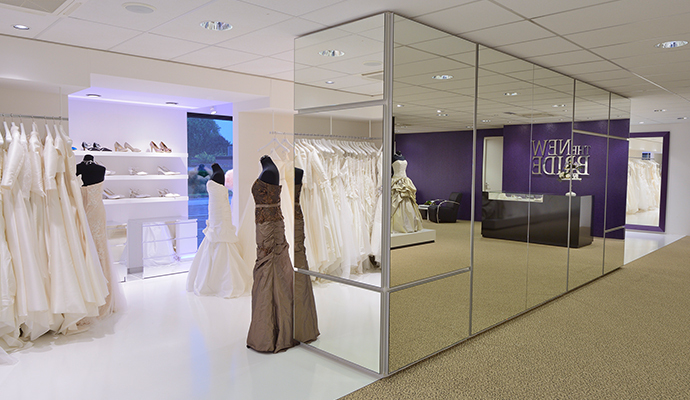 Marlies: It started with giving us the option to relocate the bridal fashion shop to an A1 visual location. Subsequently, after the successful completion of the ground floor interior, we made step 2, starting on the upper floor. Ambiance and privacy are vital elements. Furthermore, we have more options to present our large range in a fashionable display. We are very busy and the customers are very positive. With thanks to the retail architects of WSB. 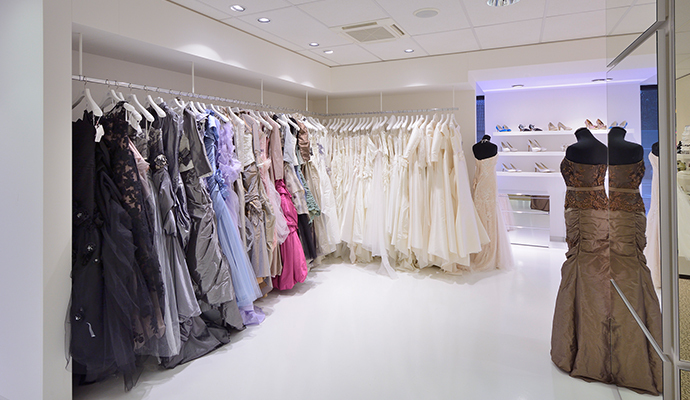 Store design for your bridal fashion shop? 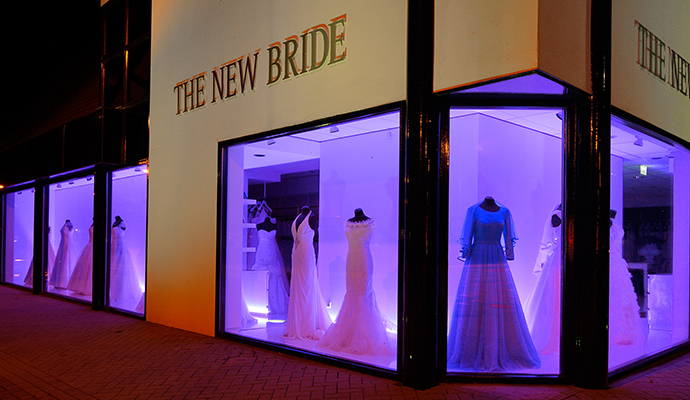 Also curious to see a commercially successful shop concept for your bridal fashion shop? Call WSB for an inspiring talk about the commercial retail design. 033-2771714. 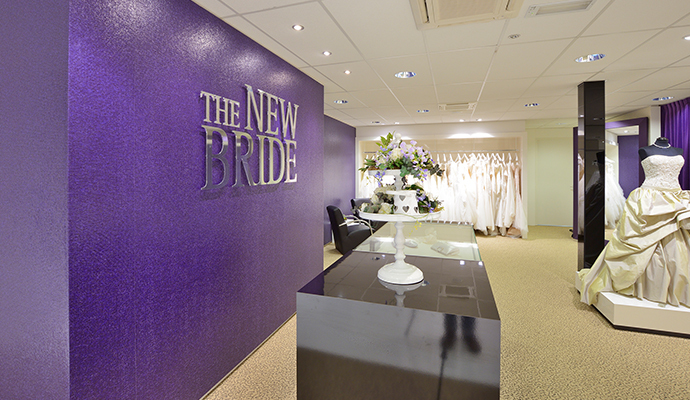 The New Bride is the place to go to for the wedding dress of your dreams. 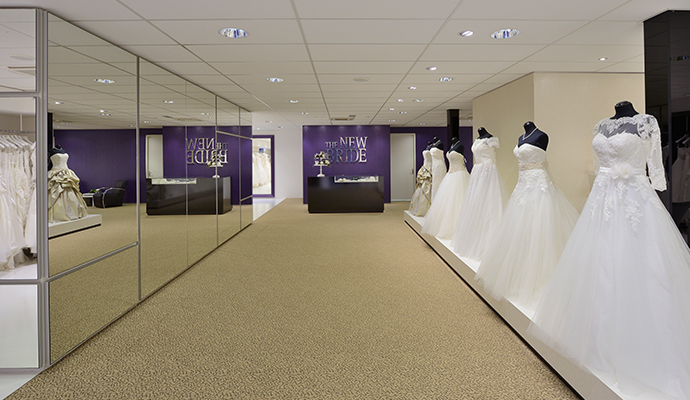 The team is ready to help you find the most amazing wedding dress together. 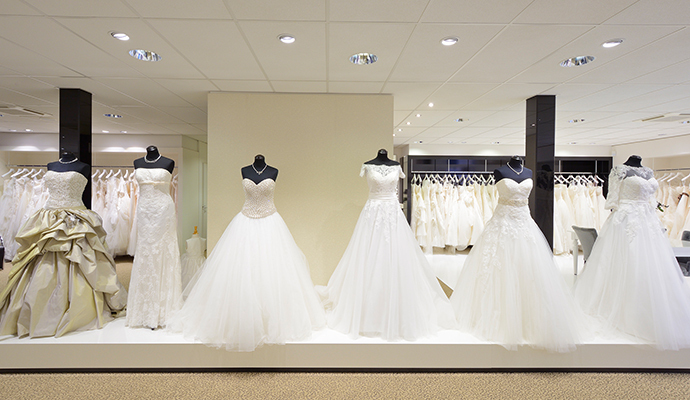 Whether your dress is classic, clean-lined, contemporary, romantically coloured, high-collared or a plus size. 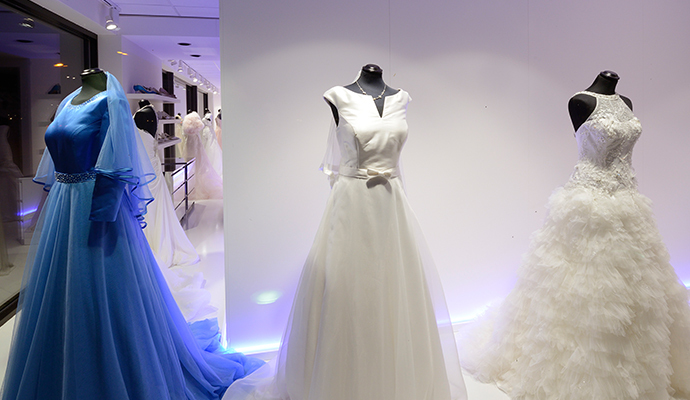 They will provide the dream dress that makes all your dreams come true. They are just as flexible as the WSB team members! 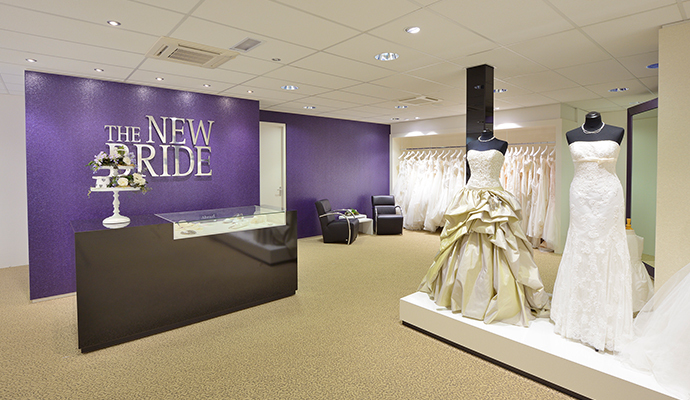 The bridal shop in Barneveld is in the centre of the Netherlands, in the province of Gelderland. The central location gives easy access from direction Amersfoort, Ede, Zwolle and Apeldoorn. 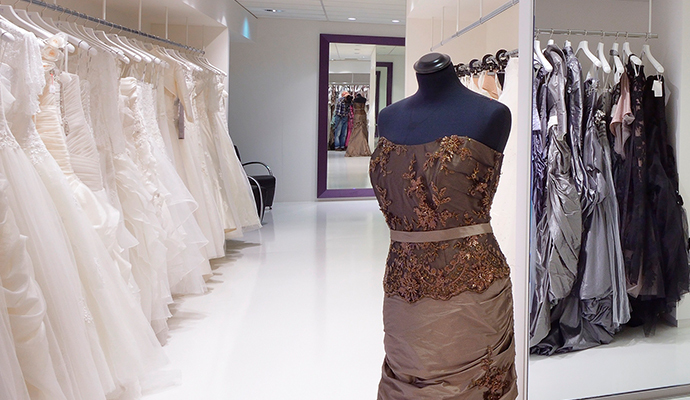 The shop has generous proportions with large fitting rooms, providing extensive privacy. 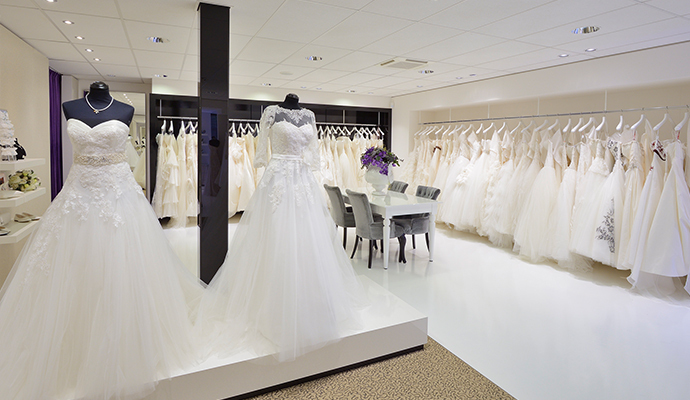 That way you have space and time to choose the very best wedding dress. 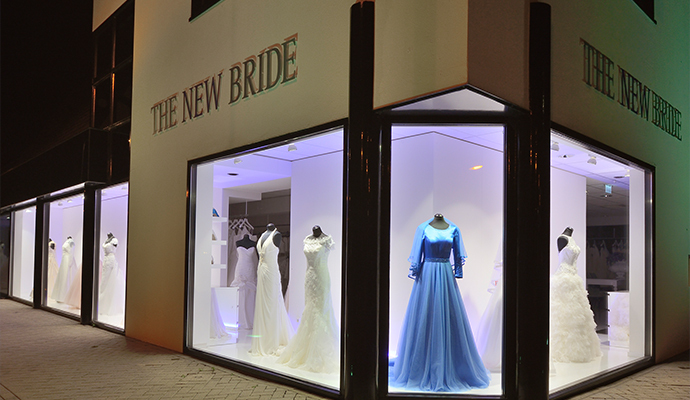 Early this year, The New Bride had the opportunity to also lease the upper floor of the building, adding 300 m2 to the shop. Two of the fitting rooms on this floor have become private rooms, where customers can withdraw with the friends and family of their choice for fitting sessions. That makes shopping fun! WSB focuses on creating and realising Commercially Successful Retail Design. With a new design, WSB Interior Construction confirms and enhances the brand experience of your shop interior in a creative and discerning way. Since 1958, we have been a full-service supplier of turn-key shop interiors. 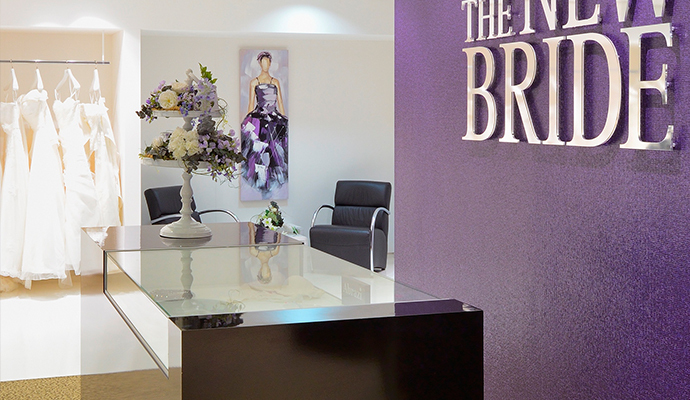 Our strength is in concept strategy, inspiring shop designs, strict project management and great realisation. What would you like?